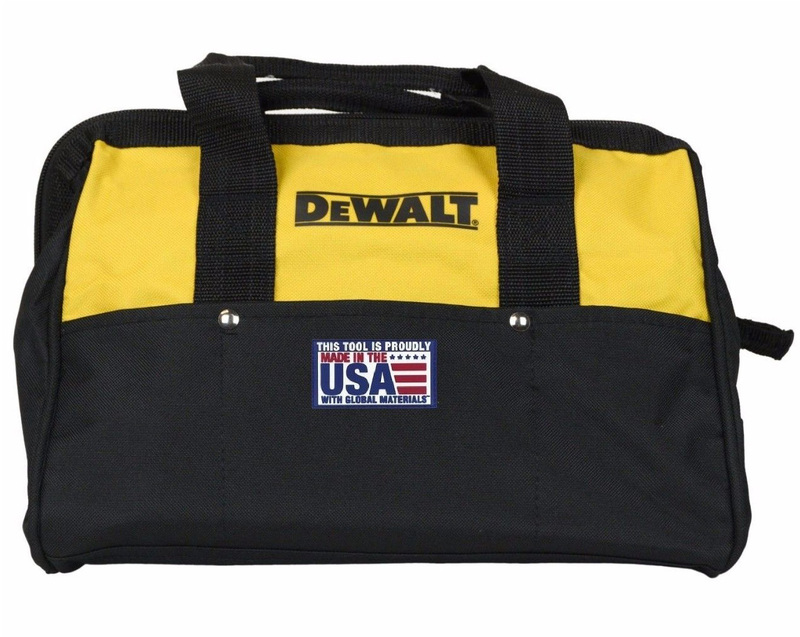 This Dewalt 13 inch tool bag is the perfect size for hauling compact power tools such as drills, impacts, chargers, and batteries, as well as hand tools like screwdrivers, wrenches, and more, around the job site. The bag features heavy-duty stitching to ensure it can hold as much weight as possible, which is great if you’re looking for a bag capable of holding multiple tools at the same time. It also has a strong zipper enclosure, which helps to make sure your tools don’t accidentally fall out during transport. It’s even easier to carry than other comparable bags thanks to sturdy, durable handles. Our service hours are Monday – Friday 9:00AM – 5:00PM Eastern Time. For service please use the ‘Ask A Question’ tab at the top of our listing details. Our goal is to answer your email within 24 business hours Monday – Friday.